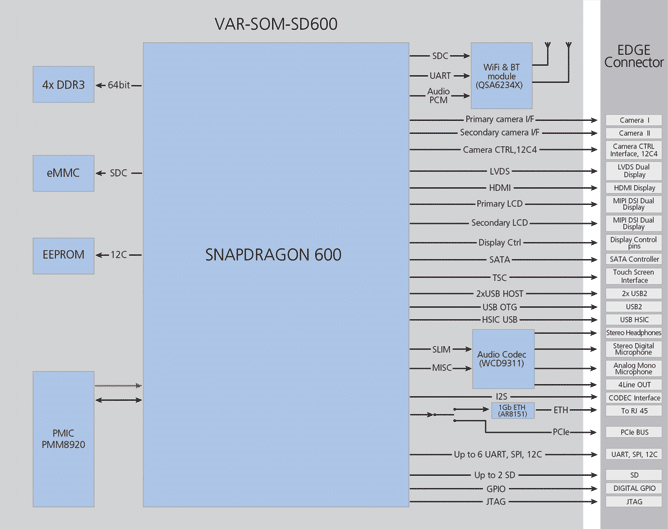 The VAR-SOM-SD600 supports the Qualcomm Snapdragon™ 600 (APQ8064) 1.7 GHz quad Krait™ processor. 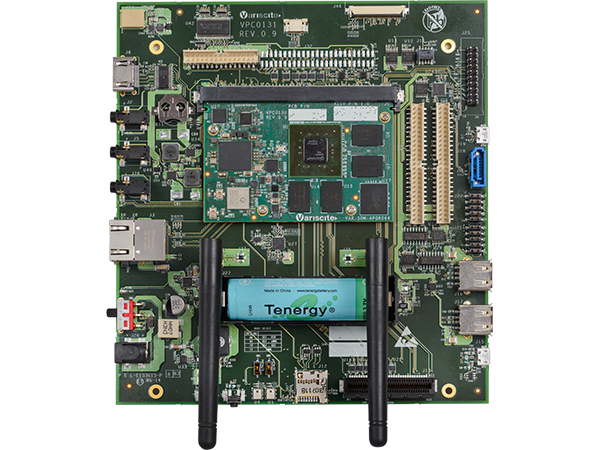 With a staggering 22,400 DMIPS processing power and highly optimized power consumption Variscite have successfully delivered a premier commercial processor into the embedded arena. 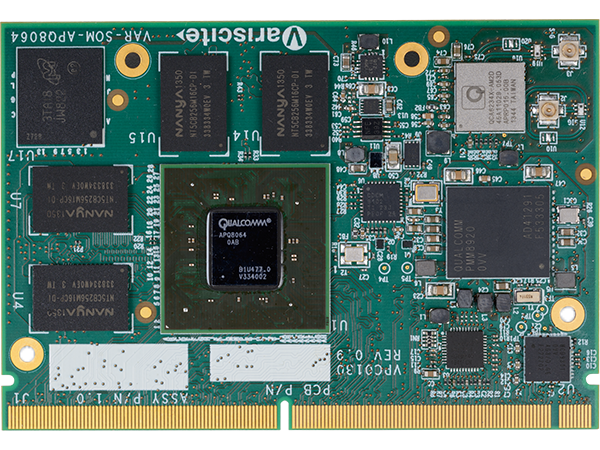 High-resolution displays, advanced multimedia support and broad network compatibility are just some of the features that ensure a richer experience in various embedded segments and applications.